It’s been 7 Nottingham Varsity Series and 8 years since UoN last lifted the coveted Football Varsity Cup. It was back in 2011, when the University of Nottingham defeated Nottingham Trent University 2-1 to win the Varsity fixture. However, since then UoN have suffered 6 consecutive Varsity defeats and 8 years of hurt. After a year off, the Varsity Series Football Fixture returns this year and is without a doubt bigger than ever before. The event takes place at 13:00 Wednesday 3rdApril at Basford United FC, with tickets completely sold out the atmosphere is sure to be nothing short of electric. The last time the two sides met was a pre-season friendly where NTU ran out 4-2 winners in a closely contested match. In the last few years the two sides have traded places to a certain extent, with UoN being relegated from the BUCS Northern Premier league as NTU were promoted. However, this year’s Varsity represents a chance for UoN to avenge this feat and prevent a 7thconsecutive NTU Varsity Football Victory. 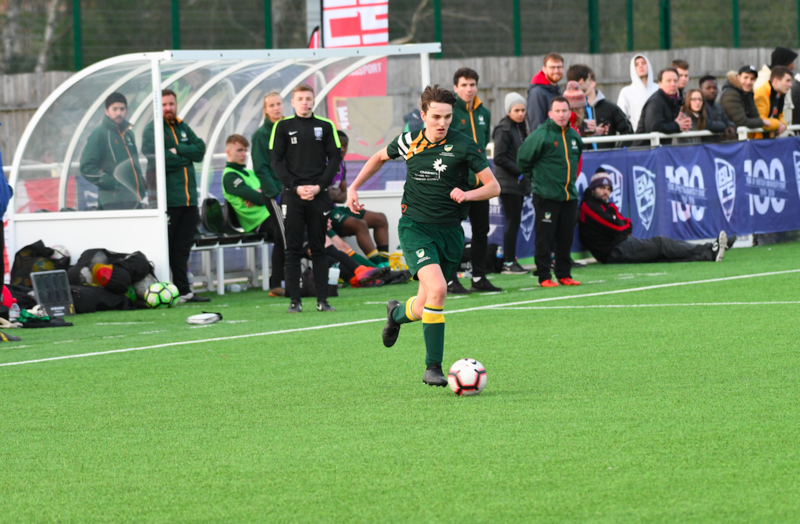 The University of Nottingham Men’s Football team have had a solid season, the Midlands 1A league title was well within their sites until two red cards against Derby University turned the league season on its head. However, it has been the most successful season in recent history for UoN Men’s Football, a historic win 2-0 win against Bath on BUCS Big Wednesday in front of a UoN home crowd at Basford United brought the BUCS Trophy to UoN for the time. Having only conceded two defeats all season, scoring 13 goals and conceding only 3 in their extraordinary run to BUCS glory, this may be the year that UoN turn things around and bring Men’s Football Varsity back to UoN. Now let’s have a look at Nottingham Trent University. NTU were the BUCS Northern Premier League Champions last year in their first season in the Northern Premier having been promoted from the Midlands 1A, the league UoN are currently in. NTU were recently narrowly defeated 1-0 in the BUCS Championship Quarter final by Cardiff Metropolitan University who have won the BUCS Championship for two consecutive years in a row so a narrow defeat in this fixture is nevertheless impressive. NTU’s league season has been similarly solid, finishing second place in the BUCS Northern Premier League having won 5 games, drawn one and lost 4 this season. Defeat in the BUCS Championship Quarter final means that NTU’s BUCS season is over, all that they have to play for now is their 7thconsecutive Varsity Victory. UoN on the other hand, have just finished off their season with a historic win so will be quietly confident heading into this one. Therefore, whilst History may favour NTU, there is no doubt that the present momentum is with UoN! UoN Sport spoke with Men’s First Team Captain Andrew Drylie and Club President George Southgate to gather their thoughts on today’s big event.